could not resist: now all the parts are in, I'll share my experiences. Although I'm not completely unfamiliar with RC, I'm revisiting after at least 30 years, so I'm pretty much a noob. Watched most of the episodes and was intrigued with the multirotors, tricopters in particular. I showed part of the bat-bone episode to my wife and she said: Wow, shouldn't we get one of those, that would be great with the GoPro? (yes, love my wife!). If you get drawn in, there is a lot to do / read / stuff to patch / mods to apply (so many out there). - Applied the ''resistor" mod to the 9x to enable training mode with the module in place. - Created 6 pin ISP flash adapter from 2 servo wires to flash T9x / KK2 later on when USB ASP arrives (quite easy). most usbasp programmers have 10 pin layout when alternative 6 pin is required for T9x and KK2 for instance. - Tried configurations for the 9 in 1 simulator and got wired* and wireless working for the 9X on the Mac. - used receiver, one ESC (for BEC power) and servo to test tilt mechanism (Yeah! works fine). 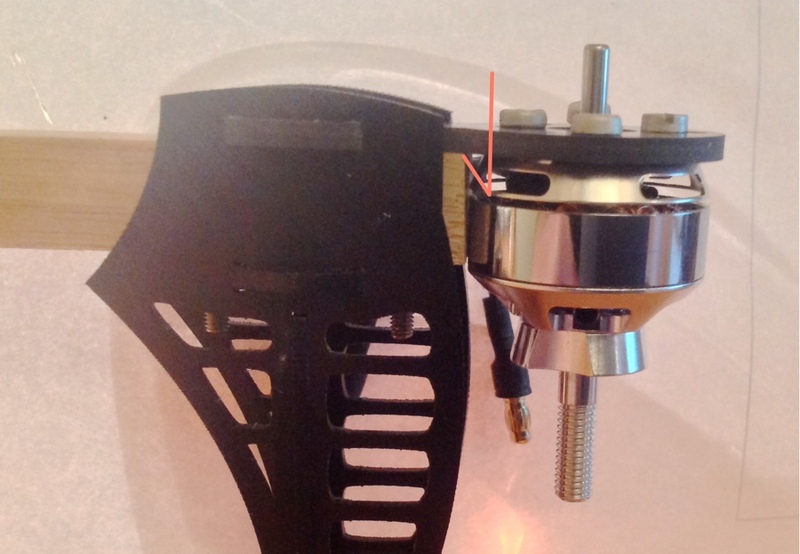 Now pondering whether to mount the motors on top or below the motor mounts, both seem to require longer screws (estimate 3mx5mm) because of the thickness of the G-10 plate. I will post pictures later on..
Could you give a bit more detail on the process to flash a KK2 board? 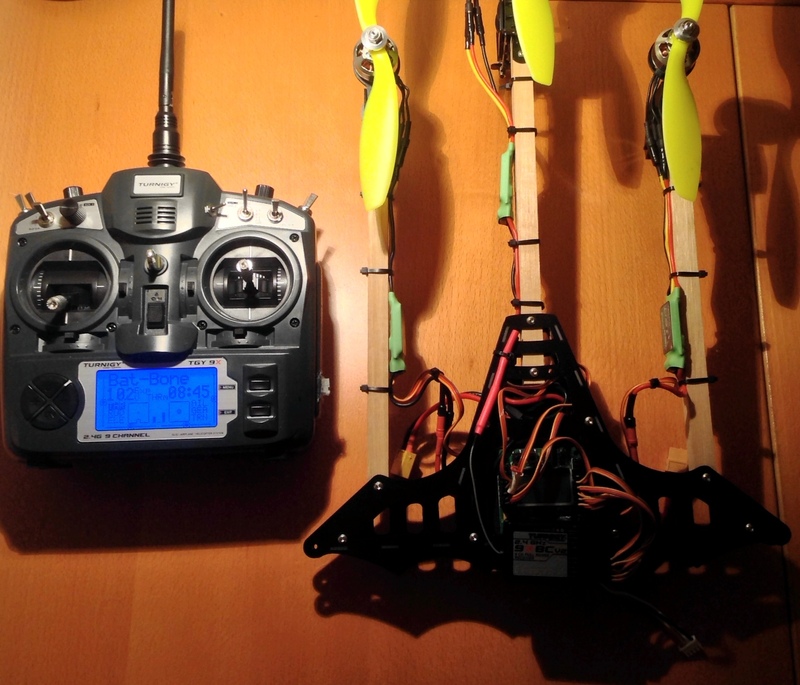 I'm researching for my first tricopter build now, and I gather than you pretty much have to put a new firmware on the KK2's if you want autolevel to work, but I have had trouble finding exactly what cables/adapters are necessary and what the firmware options are. I have to say, as crude a shop builder Hallstudio is . . .his motto is as he plugs the battery in for the first time . . . "the smoke test", he certainly knows how to pump out the T and tricopters to have no fear of crashing. And has taken that "no-fear" approach to impressive piloting skill heights. 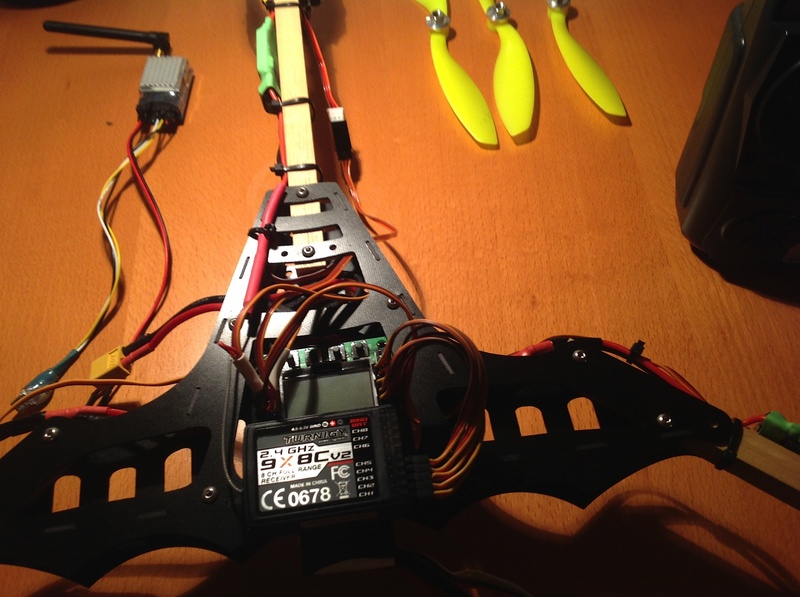 He also does a very good job of walking you through the initial tricopter programming process on the KK2. Skip to 32:00 for the KK2. You'll need an USBASP with USB on one end and a 6 pin cable that matches the KK2 on the other end. Most have a 10 pin adapter on the other end, but some come with a 6 pin extension. But it says that this is an archived article and the 'replaced with item' link points to an entire category? 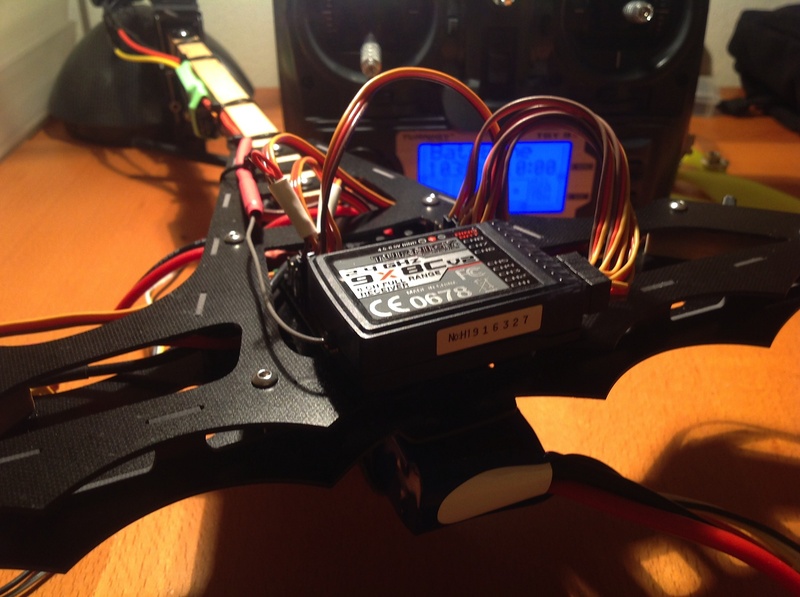 kkmulticopterflashtool is the easiest way to update the firmware on your KK2, it is a GUI wrap for AVRdude. Both methods require longer bolts than that come with the 2822-1275's. I measured and think 3Mx5mm flathead bolts would work. The ones that come with the motors are tapered. If you're that close, you could sand the boom end along the out runner frame, making "just enough" clearance. If the boom end hits the base before it would hit the bell, it'll likely arrest the vibe in that axis enough to keep it from beating against the sanded end. is the screws required for mounting directly to the g10 m3 5mm ? Yes 5mm should be OK, I ended up using 6mm with a 1mm washer so that was equivalent to 5mm. To be sure not to damage any power wires, I only used the 3 screws that were clear of the wires (was afraid the screw above the wires would penetrate the wires if overtightened). Getting along nicely with the build. When starting the (prop-less) engines I noticed that motor 1 (front-left) responds less to tilt than the other motors. Drop rear, rear motor spins up, drop front right, it spins up. Drop front left however and the response is less .... What to search for: wiring, ESC, motor? 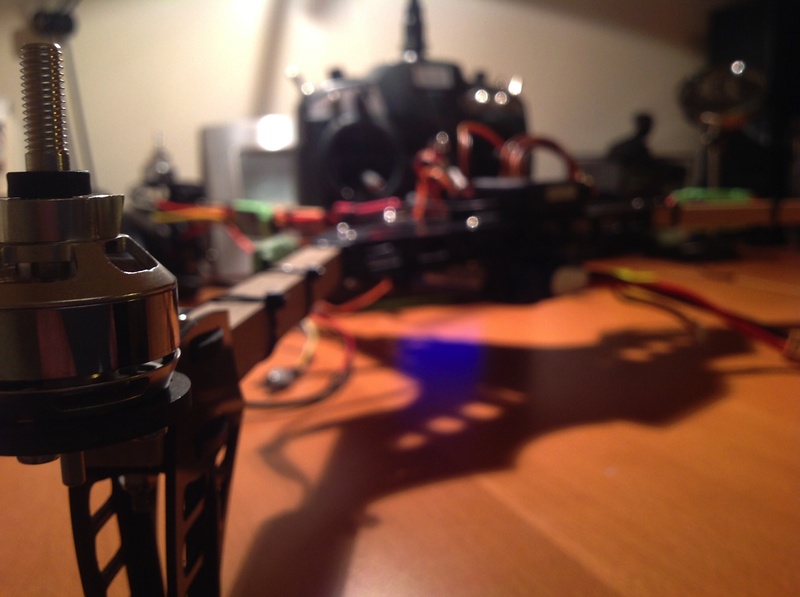 So I did a second ESC calibration, now the left front motor is responding well. 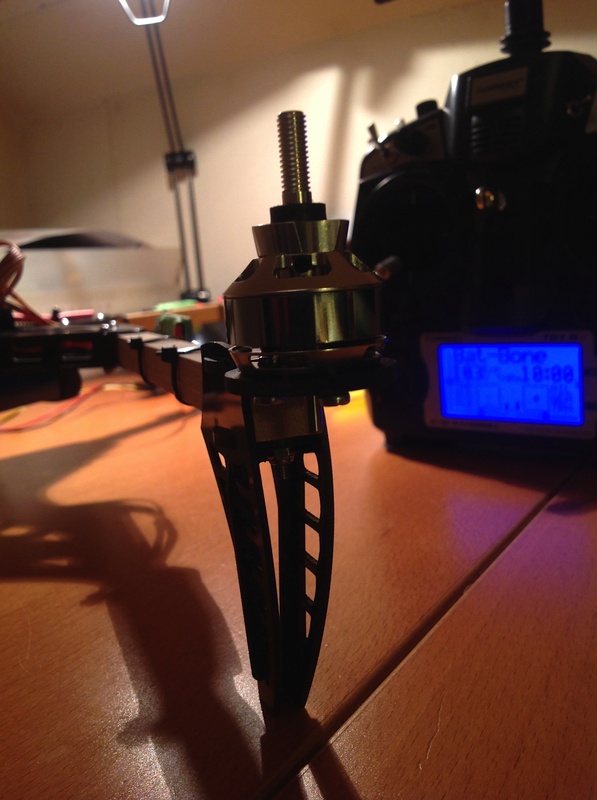 Did some rewiring (layout) to get things tighter and figured out why the servo was not moving (it moving when it was connected directly to the transmitter), but not on the KK2. and one powered by anything that delivers power to OUT 2 .. OUT8 . So you need to connect a BEC enabled ESC to at least (and sometimes at most if your ESC's do not support parallel connections) 2 output ports: motor 1, and motor 2 .. 8 , disconnecting (but not snipping) the red power cord on the 3rd ESC (assuming you've got a tricopter, otherwise you'd have to disable more. Nice photos Johan. You have knack for photography. 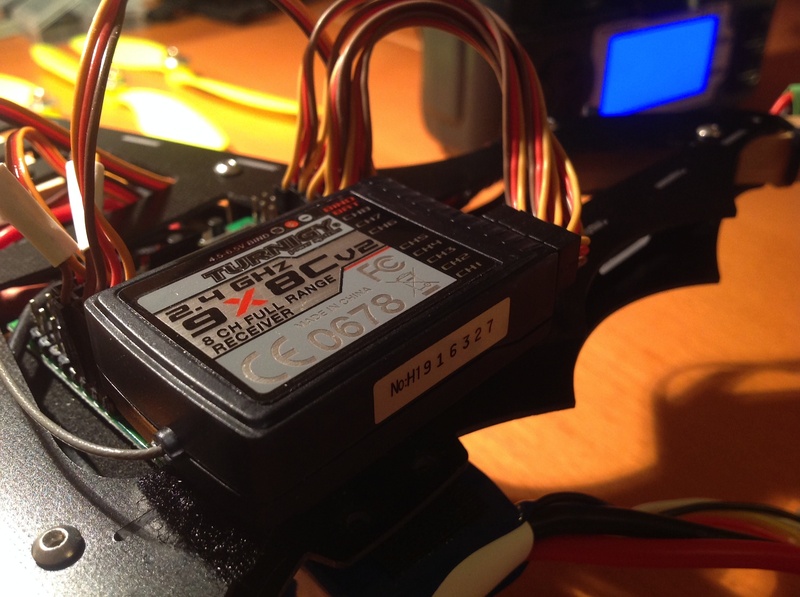 I have been using one LiPo (balance charged right after purchase) for some time now, with no actual flight time on it, just the ESC checks, ESC programming*, KK2 config, auto-level checks, motor run checks, all with no props attached. Back to the LiPo: I thought: I'd better check the charge on the LiPo (wouldn't want it to be undercharged without knowing). Googled that, panicked a bit (it means one of the cells is way off, one cell could be over charged and about to blow). Calmed down, ready to do a discharge. Checked again: appears I had put the 4 lead (3S) balance connector in the 5 lead (4S) balance port (must admit: it didn't fit nicely), this caused the alarm, once plugged in correctly all was well (nicely balanced and all). My Spektum DX8 scares me all the time. If I leave it on (which I do all the time), after 10 minutes it vibrates wildly and buzzes loud. 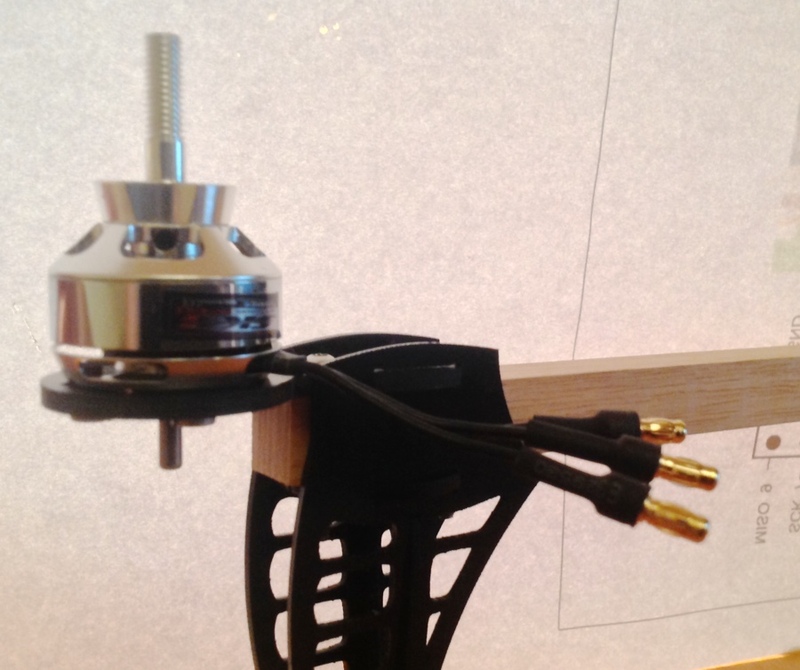 - Use the longest (servo / ESC) wire to wrap around the other wires as a kind of make-shift wire tidy - up thingy. 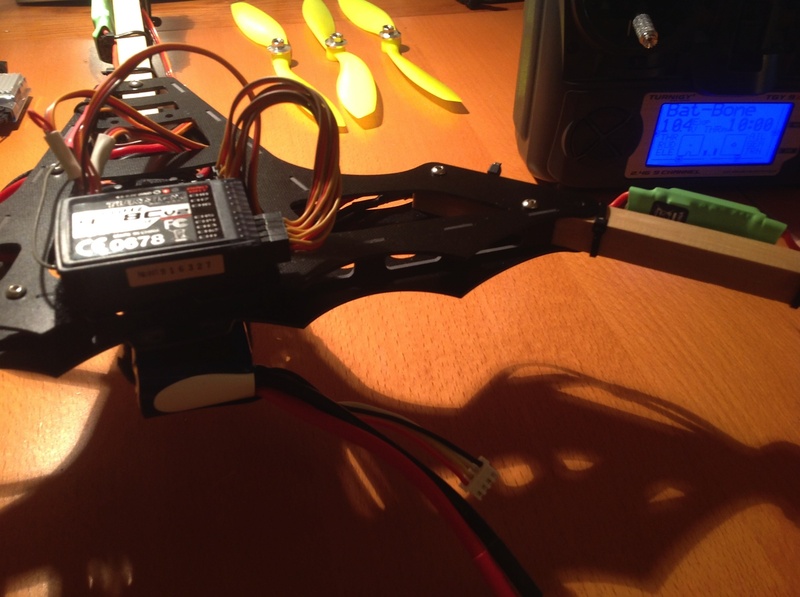 I have the Turnigy 9x, flashed a few days ago to the er9x firmware. Before that, it beeps on ANY key press and NO way to turn it off. It was so annoying that the first mod I did was to put a two-way switch between the beeper and the lead. I read (too late) not to use a too hot soldering iron, otherwise the beeper would partially melt (which it did). All was unnecessary after I flashed the firmware to the er9x which comes with a volume / tone / pitch etc.. control. So now I'm going to replace the beeper (or try to repair) since with the adde control it is a valuable extension.